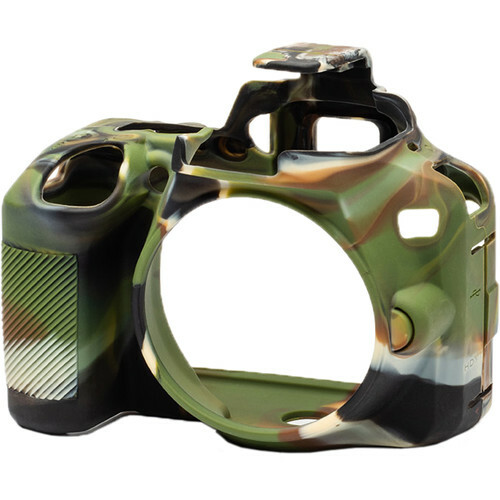 Slim and smooth, the camo Silicone Protection Cover for Nikon D3500 from easyCover protects your camera body from bumps, scratches, sand, and dust. The custom-fit silicone skin provides a secure grip, and there's an included soft screen protector to shield the LCD. Box Dimensions (LxWxH) 7.7 x 6.7 x 3.1"